Gov. Eric Greitens' defense team outside the Carnahan Courthouse in downtown St. Louis following a hearing on March 26, 2018. In the past couple of weeks, Gov. 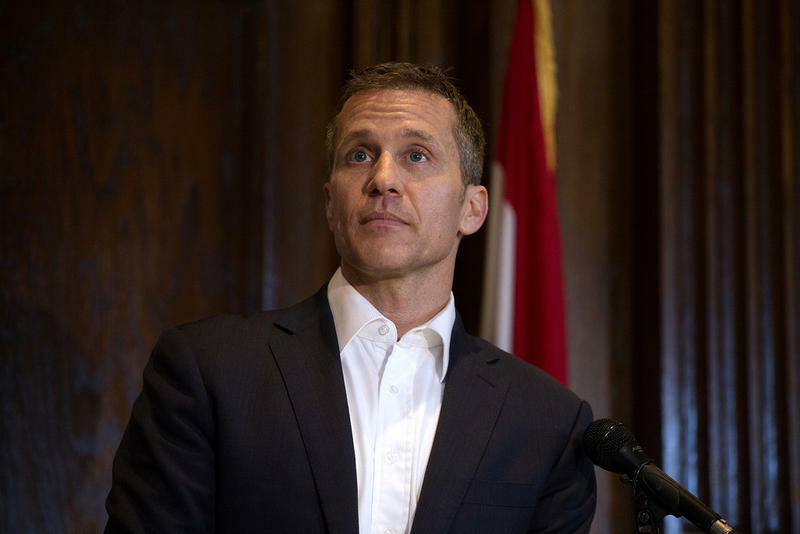 Eric Greitens asked for his felony invasion of privacy trial to be decided by a judge, not a jury. Greitens' team also wanted one of Circuit Attorney Kim Gardner’s attorneys to be bounced — and for the entire case be thrown out. Burlison gave his answer on Monday: no, to all three requests. Whether Greitens is helped or hurt by a jury trial, especially since St. Louis has voted traditionally for Democratic candidates. Questions about whether Burlison can be impartial in the case, since his former boss, Gov. Jay Nixon, belongs to a law firm that employs two of Greitens’ attorneys. How Greitens’ campaign just released radio ads claiming that liberals are “hell-bent” on stopping the governor’s agenda. 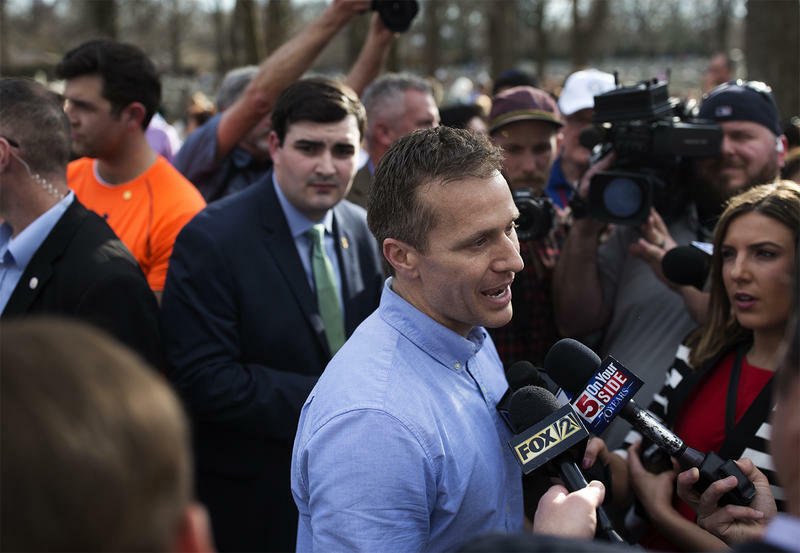 That feeds into the narrative that Greitens’ allies are floating that he’s been besieged by left-of-center enemies, even though the governor’s loudest critics have been Republicans. 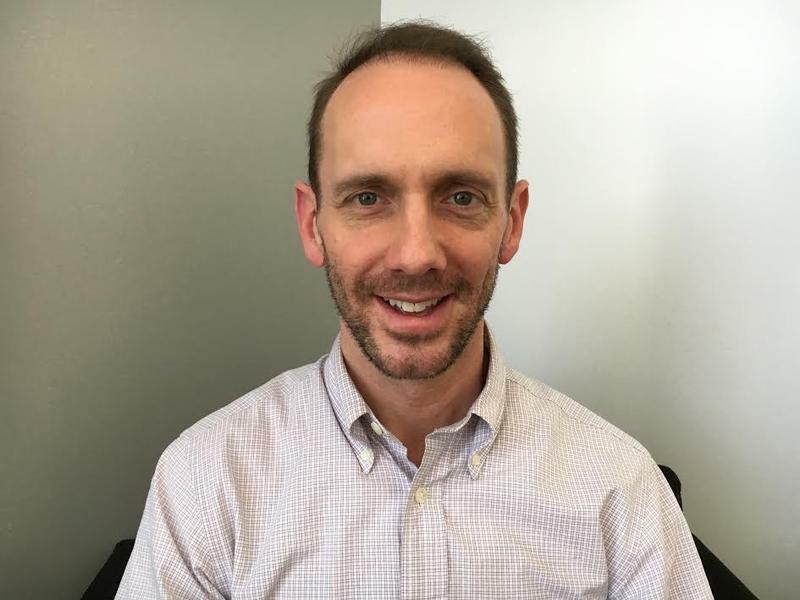 On the latest edition of Politically Speaking, St. Louis Public Radio’s Jason Rosenbaum and Jo Mannies welcome back Sen. Scott Sifton to the program. 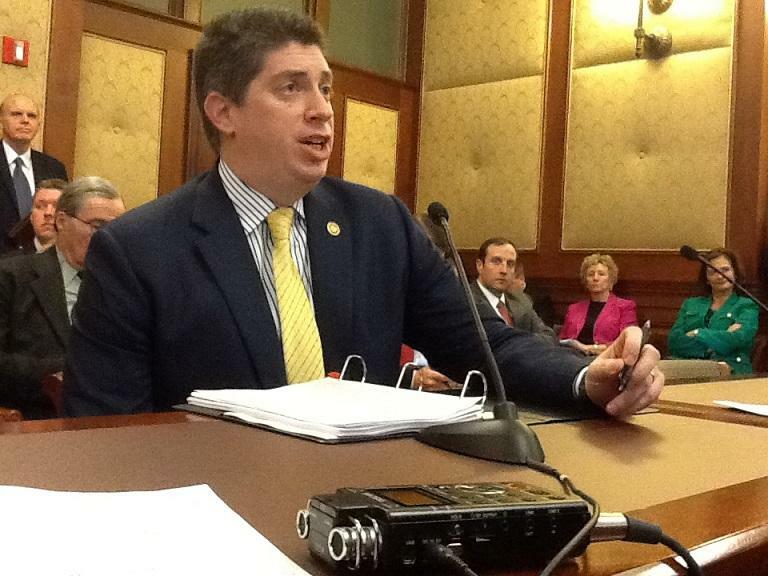 The Affton Democrat (who is now tied with state Treasurer Eric Schmitt for most appearances on the show with five) represents parts of south and central St. Louis County in the Missouri Senate.